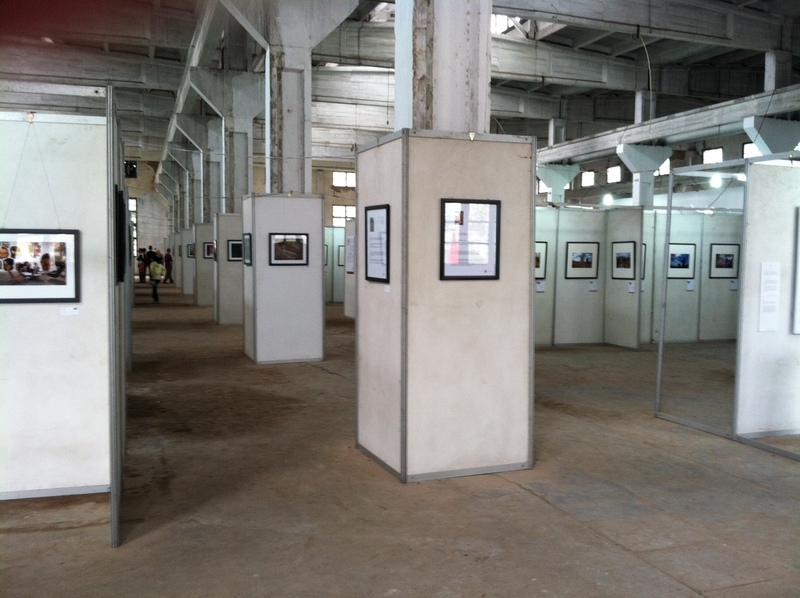 My journey to Lishui, China began with an invitation to curate an exhibition at the Lishui International Photography Festival. 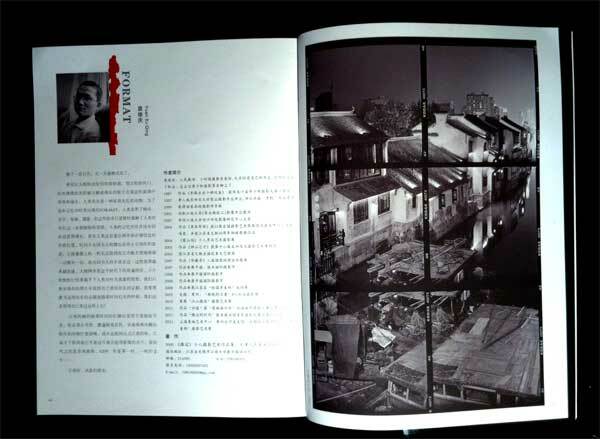 As in 2009, Yan Li invited ten curators to select two photographers to display at the festival with the theme of American Life. The total number of Americans (mei guó rén in pinyin, one of the very few words in my Mandarin vocabulary) invading the small southwestern city of approximately 2.5 million could be upwards of 40 people. Unable to make the trip in 2009, I was delighted when she extended the invitation once again. After the boring logistics of booking hotels, attaining a visa and booking numerous modes of travel into and throughout the country, I was excited to select artists Jesse Burke and Susan Worsham. 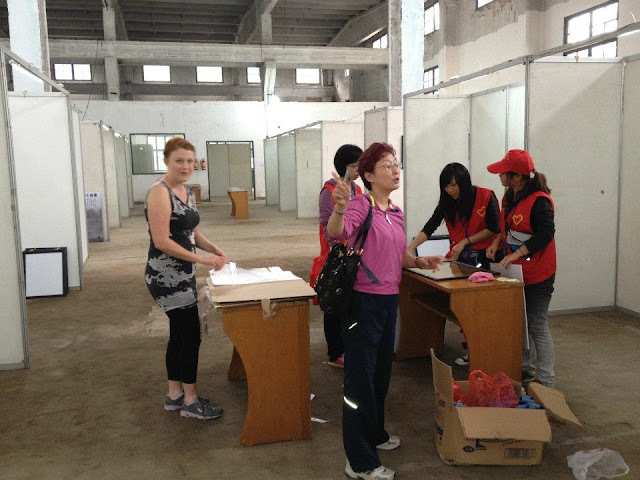 Unfortunately, Burke and Worsham were unable to make the trip with me, but I was delighted to have installing an exhibition of their work be the main reason for my trip to China. 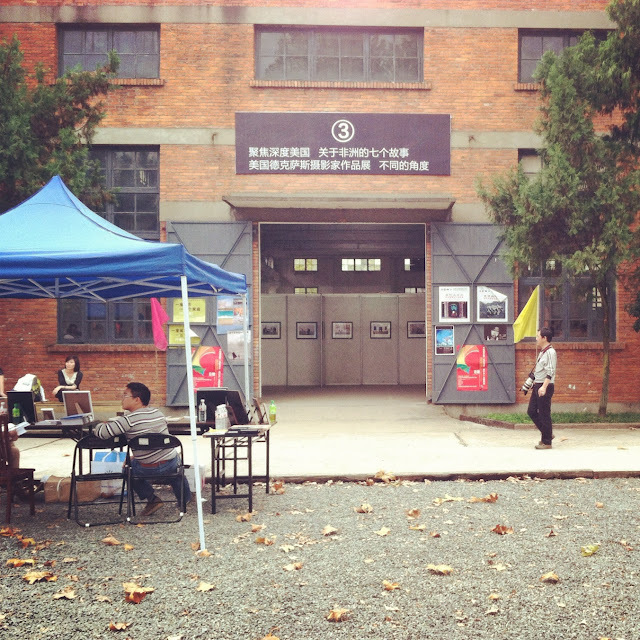 The venue of the festival and the American Life exhibition is a retired oil pump factory. A team of willing volunteers from the local college helped to install the work with as many as 10 helpers buzzing around me at installation time. 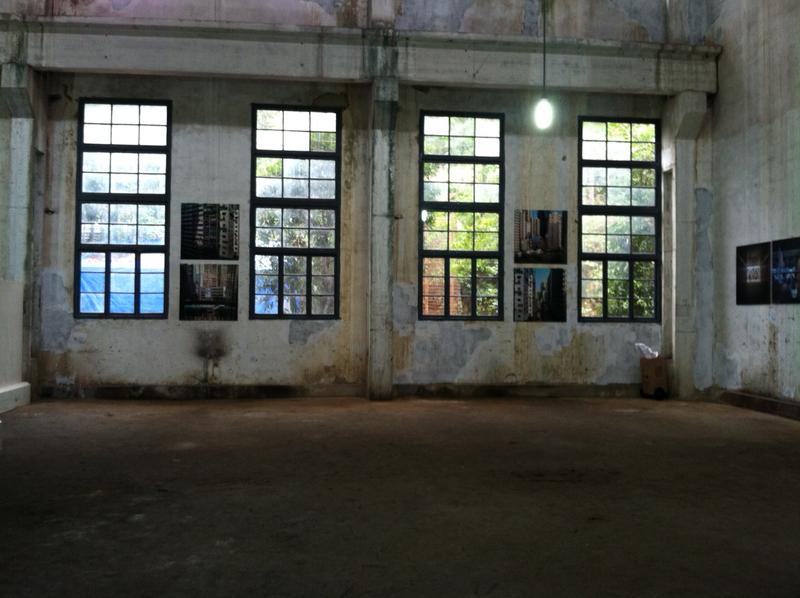 Susan and Jesse's projects were displayed in the center column making for a nice dialogue between the two images, forming diptychs on the corner of each column. 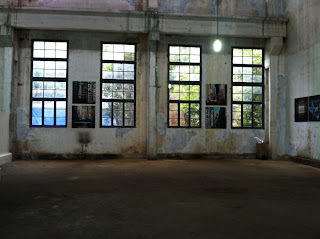 The factory grounds also housed work by numerous Chinese photographers. I found the work by Zhu Danyang, Li Guomin and Chen Xingjin, Hou Junwei, and Zhang Weixing the most interesting. I had the pleasure of meeting a few of these artists at the portfolio reviews. We were unsure of what to expect during these reviews, but having reviewed portfolios with non-English speaking photographers in Italy, I knew that there might be some communication issues. 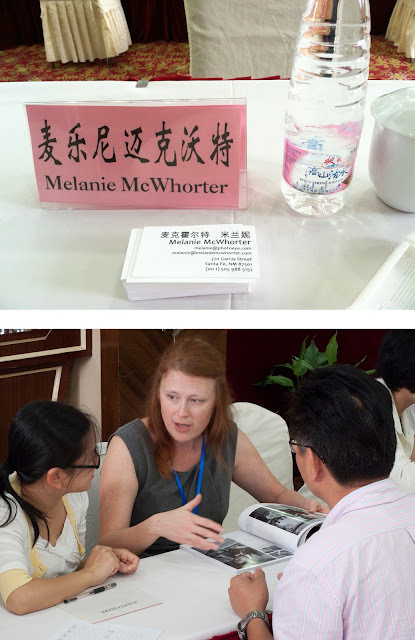 To our delight, all ten curators were all supplied with a translator, but to our dismay, they were not familiar with photography terms-try silver gelatin or Holga for a non-photographer translating English to Chinese. I found that much of the work at the portfolio reviews was documentary with some sort of underlying cultural, social or political comment: a project on a village that forcibly met its demise to make way for a bridge, two projects on the working day of coal miners, a heartfelt project about the life threatening struggles of migrant workers who move to the cities and the work of a former prison guard on the life and, sometimes death by execution, of Chinese prisoners. 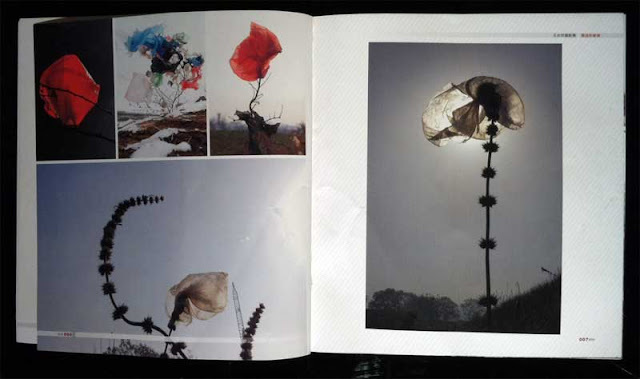 Many of the photographers offered a book to show the work, but each were designed, which seemed to fit the genre of the projects, as if presented in a magazine. I was reminded of looking at the old copies of Look and Life Magazine that are fading away in my grandmother's attic. Mostly, I was amazed that these photographers were able to show me some of these photos considering the commentary on China and its social conditions. The lust for photography in China is growing strong. 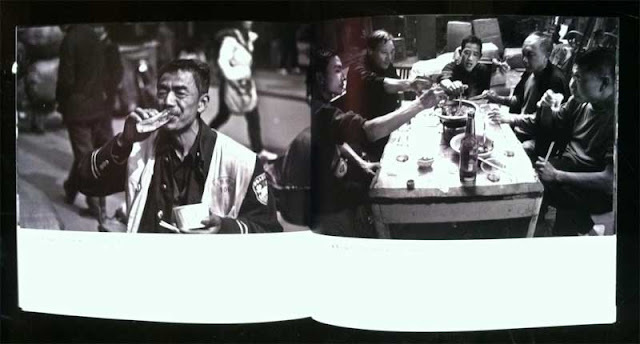 Contrary to the tales of other photographers who have traveled to China in the last few years, I felt a total sense of freedom roaming the streets of Shanghai and Lishui. I was not at all amazed at the websites that I could not visit, but often surprised by the sites that I could readily open including my own site and photoeye.com. Chinese photography festivals like Lishui are becoming more common and the work is crossing international boundaries as each year passes. It will be exciting to see what next year holds.